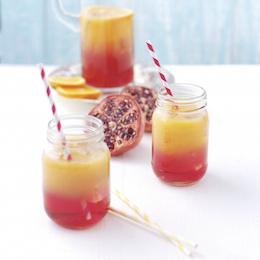 Want to give your beverage offerings a boost this summer? DaVinci Gourmet has a terrific selection of innovative products designed to make it easy to rejuvenate your range and keep customers coming back. DaVinci is well known for its extensive range of flavour syrups, originally designed for use with coffee but now increasingly used by foodservice operators for all manner of hot and cold beverages. Take advantage of the burgeoning trend for Italian sodas by combining soda water with ice or create exotic handcrafted cold beverages using DaVinci Syrup and milk, with contemporary flavour profiles that are sure to satisfy. DaVinci Syrups are ideal for iced coffees, blended drinks such as milkshakes and smoothies, and exotic mocktail creations that can help set your business apart from the competition. The simple addition of a pump to the bottle top enables easy and accurate dispensing and effective portion control. Utilising a patented coffee extraction method, Coffee Shots are made from 100 per cent arabica coffee that’s been roasted, ground and processed into a concentrated liquid and bottled. Available in Espresso, Vanilla, Caramel and Hazelnut, Coffee Shots make it easy for even untrained staff to make quality flavoured blended drinks and iced coffee. There’s minimal fuss and virtually no preparation required. Just two pumps of the Coffee Shots bottle over ice, pour on the milk and voila – instant iced coffee, quicker and faster than if you pulled an espresso shot yourself. The fact that Coffee Shots don’t require any specialised equipment means they’re ideal for operations without an espresso machine. But even businesses which do have one also find them an efficient time and labour saving choice – the barista is freed up to concentrate on making espresso, while counter staff can make iced coffee using Coffee Shots. This also reduces usage of the espresso equipment, saving on labour and maintenance costs. Major clubs in Sydney have been keen to take on Coffee Shots thanks to the product’s versatility – serve them with ice and milk, or blend with ice and milk and add powders for an even more premium product. Some chefs even use Coffee Shots as a drizzle topping for cakes and patisserie items, especially in clubs which are going for that upmarket café feel. Coffee Shots are also ideal to use as a complimentary beverage for club patrons – just pour it into the slushie machine and you can offer it in 12 ounce cups as a satisfying beverage which will be consumed more slowly than a soft drink. Unlike espresso coffee which can change its flavour due to fast oxidation, Coffee Shots provides a consistent flavour profile, and consistency is the key to generating repeat business. DaVinci’s liquid frappe mix is ideal for use as a base for coffee frappes, fruit frappes or any other kind of frappe you can imagine. As a non-dairy base, it can be mixed with full cream milk, low fat milk, water or alternatives such as soy milk. The comprehensive versatility of this product means the choice is yours. DaVinci also offers a range of Beverage Base Mixes ideal for frappes. These are available in all the popular flavours – Caramel Latte, Chocolate, Mocha, Latte, Vanilla Chai as well as a Classic Base and Frappease – a neutral base which allows operators to use their own flavours as desired. Want great recipe ideas and tips?